Meet Frank Abagnale Jr., the con artist who tricked the Federal Bureau of Investigation. Based on a true story, Catch Me If You Can (2002, Dir. Steven Spielberg) follows Frank while he is still a teenager in the 1960s as he runs away from his divorcing parents, assuming different identities along the way. Through the application of rational choice crime theory, Frank’s actions can be understood as the reasonable conclusion of cost-benefit analysis. Rational choice criminology theory describes “the ideal citizen as someone who engages in a cost-benefit calculation before deciding to engage in or avoid criminal behavior, a person capable of reasoned judgment, deliberation and a clear understanding of the law” (Rafter and Brown, 16). Based on this definition the hard working, intelligent, and clean-cut young Frank appears to be the ideal citizen who engages with crime as a way of finding a solution. Such depictions of criminal understanding “as the result of individual choice… deny the role in crime causation of poverty, race, class, and gender” (Rafter and Brown, 17). These depictions can also be understood through the concept of neoliberalism, which focuses on the individual rather than systemic issues that may cause certain reactions. While Frank seems aware of the changes that his family undergoes to better accommodate their current financial situation, such as moving to a smaller home and having him transfer to a public school, Catch Me If You Can’s portrayal of wealth as transient seems to point to social class as low on the list of the film’s priorities, serving as an undercurrent rather than a driving force. Instead Frank’s father’s choice to commit fraud is cited as the original catalyst that starts this chain of events- the inspiration for Frank Jr.’s own criminal actions undertaken in pursuit of wealth as a means of establishing security both in the family home and society. 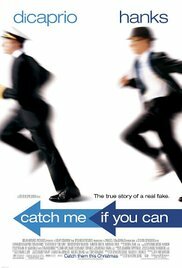 Prior to engaging in close scene analysis, I would like to note that Catch Me If You Can skips between time, location, and various characters’ perspectives. For the purpose of this analysis, Frank Jr.’s perspective is the major focus. Not all scenes are discussed in sequential order. The film is being used as a demonstration of rational choice crime theory. While my hope is that anyone could understand the argument I make, actually having seen the film prior to reading this piece may help to provide context to some of the referenced scenes. Now on to the film. Frank demonstrates the distance he would go for his family, as it started to crumble when money became an issue. Frank’s father is being charged with tax fraud when Frank catches his mother with another man. One day, when Frank comes home from school he finds himself confronted by an attorney informing him of the upcoming divorce of his parents. Faced with the dilemma of choosing between his parents for custody, Frank runs away. Frank obviously prioritizes his family and idealizes the relationship that his parents have, as viewers can see when he watches them dance or recites the story of how they met. He can’t handle the separation of his family leading to him running away. In this way, Catch Me if You Can exhibits rational choice theory, even through the extreme choices of crime. Frank’s intelligence seems to be one of his most defining characteristics, as he reasons his way into impersonating an airline pilot, doctor, and lawyer, while also passing the bar exam in Louisiana. He seems to stumble upon the idea of being an airline pilot after observing the ease of travel he sees when a group of airline attendants and a pilot walk into a luxurious hotel. He then gets the idea to interview a pilot, gaining knowledge on the lingo that is used and the basic procedures, as well as the credentials necessary, simply by posing as a student writing an article for his school newspaper. Frank also reaches out to the business that produces airline uniforms claiming it is his first week on the job, and he lost his uniform. A friendly voice on the other end of the telephone shares the location of the supply store, giving Frank the opportunity to start his “career” as a pilot. The happenstance of this entire situation supports that “for opportunity theorists, the criminal act is the outcome not simply of decisions but of contexts and opportunities that converge in time and space with offenders’ decisions” (18). If the crime had not been so easy to commit, it would never have happened in the first place. Because Frank wasn’t challenged in his form of payment or his original inquiry, he continued to find and exploit opportunities. For instance, the woman who worked the desk for Pan Am asked if he was riding the jump seat for a particular flight. When given the opportunity, Frank agreed and went ahead with it. During this time too, he picked up more knowledge about the practice of flying, as well as the culture. While winding down his career as a pilot, he meets a young woman in Louisiana while checking on a friend at the hospital. This woman, Brenda, takes to his affectionate ways and eventually serves on Frank’s staff when he poses as a doctor. Frank and Brenda eventually become a couple, and after Brenda breaks down one night while they are together, Frank finds out that she is estranged from her family after having an abortion. In response to this information, Frank suggests they get married. This would allow Brenda to reconnect with her family. Again, we see that Frank holds his ideal of reuniting a family highly, and applies this to Brenda’s family dynamic. Frank finds comfort in being part of Brenda’s family unit, because it harkens back to his fond memories of close-knit family moments. The film offers a similar scene to when his parents start dancing in their old home before they moved. When Frank watched his parents from the doorway dance, he grinned and seemed content. When Frank stops and observes Brenda’s parents as they sway together to music while washing the dishes, he has a similar reaction displaying the fondness he has for parental figures that are so close. While Frank is putting on a show to a certain extent, through his prayer in the family’s Lutheran household, despite his discomfort with the act, he still is part of something that he has desired in his life since his family dynamic changed. This again shows the underlying fact that he makes decisions based on his wants and needs in relation to the risk associated with them. Staying with Brenda means he has to risk being caught, but that is a risk worth taking for the sake of reuniting a family. When Frank meets his father at a bar and tells him of the marriage to Brenda, the choices that Frank has made become clear yet again. Frank claims that he is getting “everything back” and “I’m getting us everything back.” Not only is Frank concerned with the losses he experienced as an adolescent, but also with what his family experienced financially and emotionally. Frank suggests that the entire family will be reunited at the wedding, allowing his parents to get back together and for him to demonstrate the love he was taught that he is now living out with Brenda. At this moment, the film clearly the driving force for Frank’s actions. 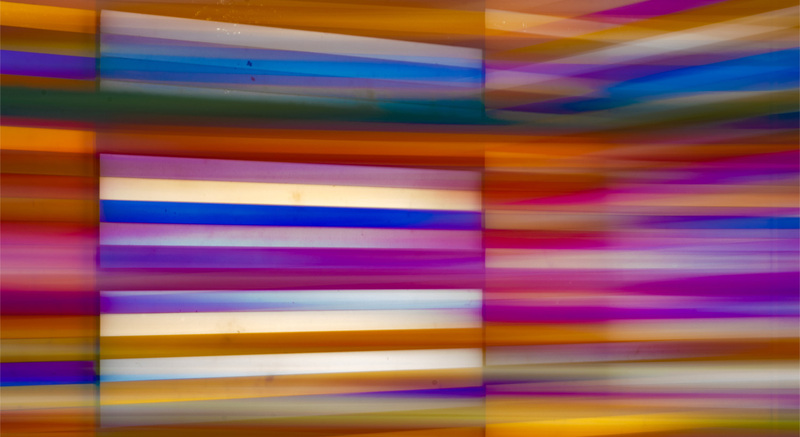 This theme of desire for a connected family can be seen as the lens that colors all of Frank’s decisions. When his father slashes that dream by telling him his mother has remarried, the drive to pursue more for the sake of his family is diminished. This is later supported in the film, as it can be seen that Frank’s desire to keep up pretenses following Brenda’s eventual betrayal is again greatly diminished. When Frank is cornered by the FBI, he admits to Brenda his real name and creates a plan for her to run away with him, arranging to meet at the airport the next day. When he arrives at the airport, he sees Brenda and numerous undercover FBI agents, which tells Frank that Brenda ratted him out. Frank, knowing he still needs to escape seeks out young women for the flight attendant training program, not out of a youthful desire to be surrounded by pretty women; but to use their beauty as camouflage. It is a calculated move meant strictly to accomplish an end goal. This is not a crime of passion, but a solution to the blocked exit of the airport. Another example of rational choice theory is the insistent lies Frank expresses, which fits with the way his father raised him, demonstrating the ways of being a con. In one scene, Frank is a young man in high school and living with his not-yet-divorced parents. This scene demonstrates his intelligence by showing how he first pulls off a major career con as a substitute teacher, the imposture seems like a game to him, but a game where he can gain power. Frank is pushed around when walking in the halls, but establishes his authority by making the same individual who pushed him read in front of the whole class. The student’s French is poor at best, creating a situation where he is ridiculed. Frank chose to benefit himself through his impersonation. Such an impersonation is a crime, but it allows him opportunities he prefers over those available to him in his role as a new student. This scene exemplifies that “in rational choice theories, the everyday world is a place in which the tug of wrongdoing is ever-present, with individuals purposefully choosing to break the law to further their own self-interests” (Rafter and Brown, 20). Frank is clearly invested in his own self-interests and uses everyday opportunities to capitalize on the potential for power and control. This scene from Frank’s youth is particularly poignant, as we know that Frank’s life seems to be spiraling out of the control of those individuals who are supposed to care for him. His father can’t figure out the finances and his mother seems to be more distant as time goes on. Frank Abagnale Jr. offers an example of how crime is a choice that is enacted when there is opportunity and the benefits outweigh the potential losses. Throughout the film various scenes demonstrate what a driving force family connectivity is for Frank–so much so that even when he runs away instead of choosing between his parents, he is still fighting to solve some of their problems, including finances. Crime is easy to pursue for Frank, and that allowed for the chosen path of problem solving. Rafter, Nicole Hahn, and Michelle Brown. Criminology Goes to the Movies: Crime Theory and Popular Culture. New York University, 2011.